A portion of the UT Health campus Saturday, April 28, 2018, in San Antonio. SAN ANTONIO — While excitement over the long-awaited creation of a medical school in the Rio Grande Valley wanes, local leaders work to establish a solid research base in hopes of transforming the area into a health care hub not unlike San Antonio. Even before opening its doors in 2016, the University of Texas Rio Grande Valley School of Medicine has seen a steady succession of supporters, including sister institutions from throughout the state. UT Health Science Center at San Antonio provided UTRGV with a building in Harlingen, which was once its regional campus, and even blueprints for the building that now houses the first two cohorts of medical students in Edinburg. But it has also served to foreshadow the Valley’s future — with the right support — 30 years down the road. San Antonio’s healthcare industry has grown to produce an estimated $37 billion a year, according to data released by the city’s Economic Development Corporation in 2016. And while it’s not all due to higher education, university officials remember a time when they had to prove to city officials that shifting gears in their investment could be fruitful. 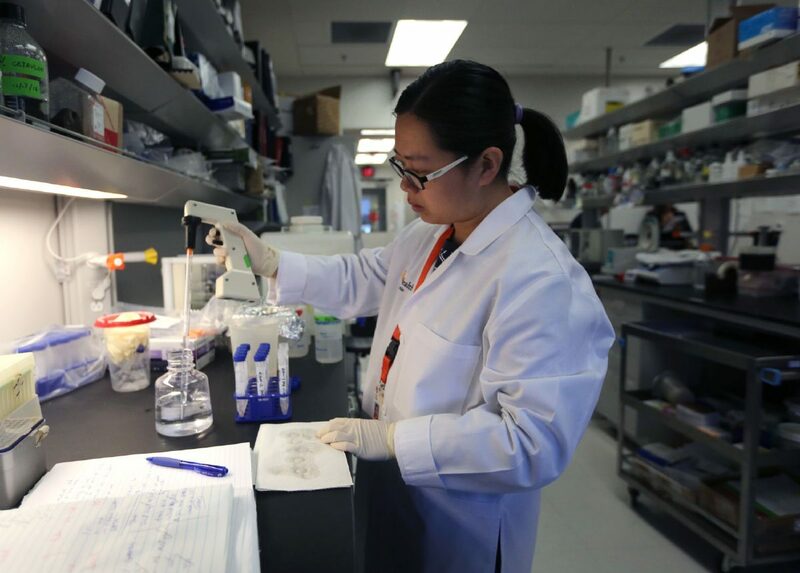 Rui Hua, a post doctoral fellow, works on an experiment at the South Texas Research Facility at UT Health Thursday, April 26, 2018, in San Antonio. Hua's portion of the lab is currently workin on antibodies for spinal cord therapy. Rui Hua mixes a solution while conduction an experiment at the South Texas Research Facility at UT Health Thursday, April 26, 2018, in San Antonio. UT Health San Antonio President William Henrich talks about the school's goals with medical research Thursday, April 26, 2018, in San Antonio. The $37 billion should not be accredited solely to the university, he noted. The institution serves to energize the growth of the industry by attracting investment in new research, which in turn attracts new enterprises to the region, such as manufacturers and clinical-trial companies. 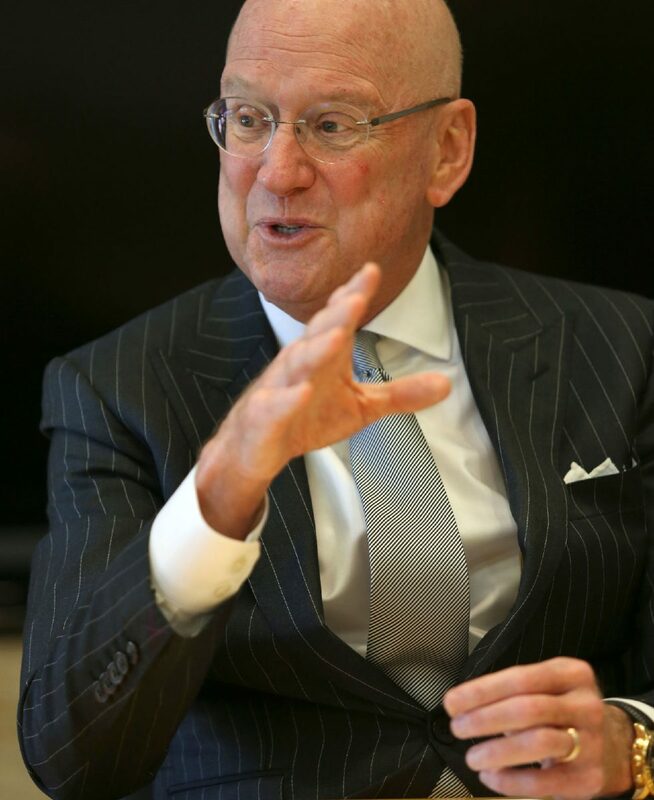 In Dallas, he said as an example, Southwestern Medical School is that hub; in Boston it’s Harvard, Tufts Medical Center and Boston University; and in New York it’s Columbia and New York University. 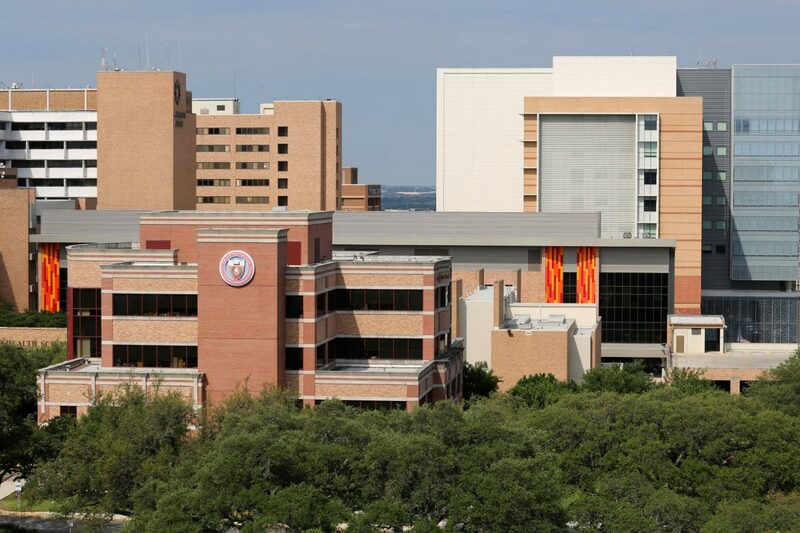 UT Health San Antonio has an $808 million total budget and is home to a School of Nursing, School of Dentistry, a Graduate School of Biomedical Sciences and a School of Health Professions. Research is also being conducted in eight areas including aging and longevity, cancer, cardiovascular, diabetes, infectious disease, military health, neuroscience and regenerative medicine. This results in about $172 million per year in awards and sponsorships and to date, technology invented at the UTHSCSA has also led to the creation of 15 startups, some still based out of San Antonio or surrounding cities such as Austin. “That was the gleam of the eye, the sparkle in the eye of the dreamers who saw what McAllen could do, what Edinburg and McAllen could do together, what McAllen, Edinburg and Harlingen could do together if they could join forces,” Henrich said. It took more than 70 years for this dream to become a startup reality in the Valley. 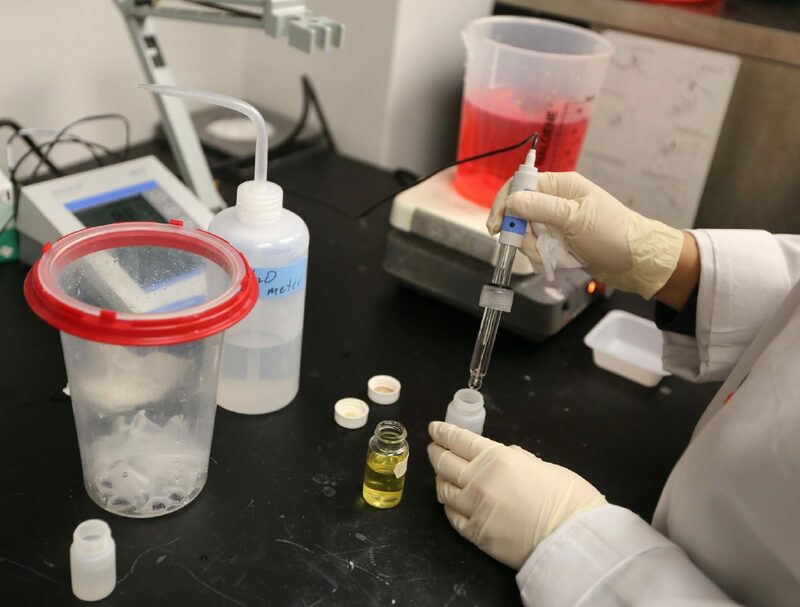 From the get-go, UTRGV placed its focus on becoming an emerging research institution, a title that if achieved would mean additional funding from the UT System and would also place the university in line to become a Tier I institution. But every university has seen its unique set of challenges, and there is not one path toward growth, Henrich said. While UTRGV is growing, the challenges locally have come in the form of a lack of community support. Unlike San Antonio, UTRGV has two clear challenges: They don’t have the monetary backing of a health care district, which was twice rejected by voters; and they aim to cover not one but three counties in a region with poverty-stricken colonias and cities. But there are also advantages to being the first school of medicine and starting from scratch. The UT-System itself allocated $100 million for the establishment of the School of Medicine, which will all be used for clinical and research operations, Bailey said. The university also started off already knowing what research areas were needed and would more than likely yield funding. This allows them to hire strategically to fill in those spots first. That was the case of the South Texas Diabetes and Obesity Institute in Brownsville. The institute started with a staff of 26 researchers that moved to the Valley from San Antonio. This team has grown to 52 researchers in the last three years. The $12 million in existing funding that followed, Bailey said, has grown to about $31 million. Similar moves are happening in Harlingen, as a recent $15 million gift from the Valley Baptist Legacy Foundation will help establish the UTRGV Institute for Neurosciences. And in McAllen, the city’s Economic Development Corporation agreed to provide $1 million for the development of cancer research. Research in McAllen will focus on women’s cancer starting with cervical cancer and moving toward breast cancer, Krouse said. The agreement is the first example of a partnership with a public entity driven by an economic development goal. Like UTHealth San Antonio, UTRGV aims to focus on problem areas in the region, which will not only provide a higher possibility of getting research participants, but space to grow their clinical work in an area that has historically been underserved. Dr. Sarah Williams-Blangero directs UTRGV’s diabetes and obesity institute and was one of the initial researchers that moved Brownsville to become the first research team for the School of Medicine. While in San Antonio, the group worked under the non-profit Texas Biomedical Research Institute, and in the 27 years that she was there, she said the growth of the health care sector was evident. Most recently, Blangero’s team has received a national grant to study lipid variations in relationship to cardiovascular disease, and they are constantly on the lookout for grants allowing them to look into various aspects of diabetes, obesity and genomic research. UTRGV officials have plans to recruit teams similar to Blangero’s, who show interest to serve an underserved area and who are well-established in their work. These teams are mostly self-sufficient as costs for their research and even their salaries come out of funding acquired through and for the research itself.